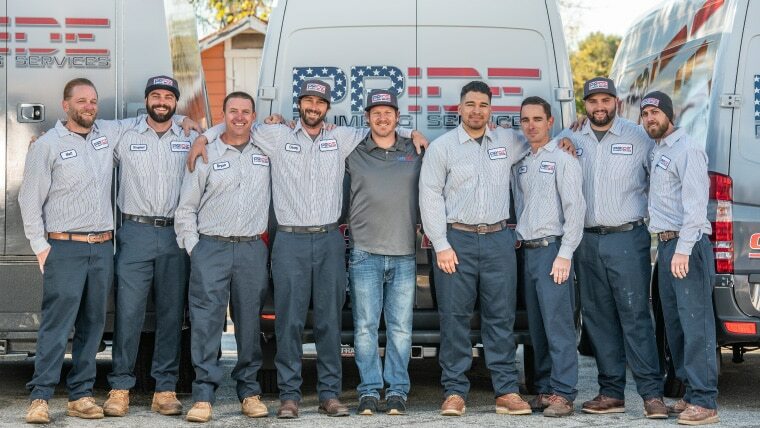 Pride Plumbing Services specializes in both residential and commercial service and repair, emergency service, ground-up construction and tenant improvement. Michael Littleton had a vision to run a professional plumbing company with top-notch customer service and treat every client like family. When he created Pride after 16 years in the industry, the mission of providing high-quality services with great customer service became a reality. Through a solid work ethic, unwavering integrity and genuine passion, the community around the Inland Empire area put their trust in Pride. Pride will be the last plumbing company you have to call, guaranteed. Check out our services to see how we can help you today. Up to down leak in ceiling. Leak in 1/2 copper line to toilet. Temporary water heater install. Leaking water heater.